Trying to calculate your chances of gaining acceptance into an elite college or university through the transfer admissions process is about as easy as handicapping a cat race. Unlike the regular admissions process, there is enough fluctuation in admission-related variables from year-to-year to make even the best prognosticator about as accurate as Miss Cleo (RIP). If you find yourself pining to gain acceptance as a transfer into an elite college or university, be prepared to enter an impossible-to-predict game. Dartmouth’s recent history demonstrates this truth quite well. In the last few years, the transfer admissions rate has bounced from 0.5% (in 2017) to as high as 8% as they have accepted between a handful and two-dozen students per year. On average, a transfer applicant to a prestigious school will face poorer odds than a typical applicant for undergraduate admission. For example, Stanford accepts just 1.4% of transfers versus 4.7% of freshmen. The University of Chicago takes in 5.5% of transfer applicants compared to 8.7% of regular applicants. Washington and Lee, which admits 20% of freshman applicants, welcomed 11% of transfer wannabes in 2017 but that number has plummeted to as low as 3% in recent years. While it is impossible to predict the transfer process on any given admissions cycle, you may be pleasantly surprised to learn that there are a fair number of selective schools known to be “transfer-friendly.” Wesleyan University typically enrolls approximately 60 transfers each fall and 15 each spring. Boston University sports a higher admission rate for transfers (50%) than regular applicants (25%). Many top-notch state universities including all schools in the University of California system, UNC—Chapel Hill, Clemson, and UVA offer similarly generous rates to transfer applicants. Baylor, American, Kenyon, and Skidmore are additional private institutions that sport significantly higher transfer acceptance rates than freshman acceptance rates. Simply put, if you are looking to transfer to a competitive school, your college transcript, embryonic as it may be, needs to sparkle. If you are looking to transfer as a college freshman, your high school grades, especially those from senior year will take center stage. Candidates that had strong SATs but poor high school grades can no longer sell their “potential.” A 1490 SAT score and a 1.9 GPA your freshman year of college does not paint an appetizing student profile. Even if you are unhappy at your current school, put every ounce of effort into achieving stellar grades. It will be your best ticket onto the campus of your dreams. As a student with aspirations to transfer into an elite university, chances are you stood out from the crowd in the eyes of at least one professor. In seeking letters of recommendation, target professors who took note of your eagerness to contribute to class discussions, the annotations your made on each reading assignment (while others in the class clearly hadn’t even cracked open the text), your regular appearances at office hours for the purposes of engaging in further intellectual discussion, or your research/term paper that was one of the best they have encountered in recent memory. If possible, you are seeking more than just a generic “He/She got an ‘A’ in my class” type of recommendation letter. If you are presently just beginning your college experience at a community or non-top choice school with the aim of transferring to a prestigious college next year, make it a point to exhibit these type of attributes as each semester unfolds. Remember that the goal is to leave a lasting impression. While your professor may ultimately be sad for their institution to lose a student of your caliber, chances are they will be more than happy to assist you in following your academic dreams. There are two main things that you want to highlight in a transfer admissions essay: 1) Why your prospective transfer school is a perfect fit for you; and 2) What unique attributes and talents you will bring to campus. Share with your prospective new academic home what makes them attractive and unique. Smaller class size, a particular academic program, a more diverse environment, or even proximity to home are just a sampling of the legitimate selling points you can offer. Mention specific courses that you are eager to take at their institution, certain distinguished professors who you desire to study under, and unique clubs, activities, or campus traditions in which you are excited to partake. Take advantage of this chance to impress admissions officers with you expansive knowledge of their institution as well as a highly-specific accounting of how you will take advantage of your time there. Doing so will separate you from the pack of similarly-qualified transfer applicants. This is also a perfect opportunity to demonstrate your record of involvement on campus. It is far easier to sell yourself as someone who will be a contributing member of the campus community if you displayed these qualities at your previous college. 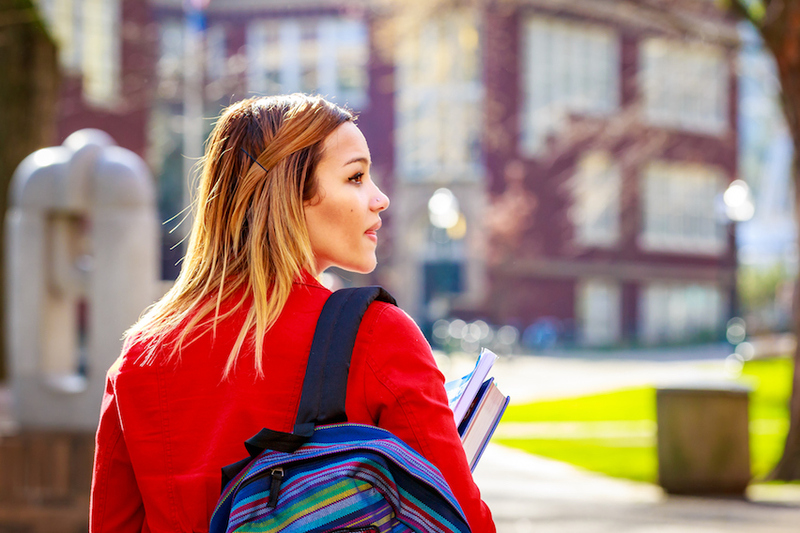 Students with an eye on transferring are sometimes so focused on escaping their first institution that they fail to become involved in anything outside of the classroom and thus miss out on valuable opportunities to demonstrate leadership and passion—the very traits needed to transfer to a prestigious school. Make sure that the reasons that you communicate for wanting to transfer do not end up sounding like a nasty Yelp review of your present school. While you may want to leave College X because the professors are all centenarian windbags and your roommate is breeding rabid skunks to sell on Craigslist (is there really a market for that? ), remember that the school to which you are applying wants to feel wanted. Think about it; would you rather listen to your girlfriend/boyfriend rant about their ex or hear them tell you what makes you awesome. Admissions officers considering a transfer student feel the same way. Where do I find transfer admission data? For a more complete listing of “transfer-friendly” colleges and to view transfer admission rates at over 300 of the nation’s most selective schools, please visit our Transfer (vs. Freshman) Admission Rates Dataverse page.